It’s difficult to write about my skincare routine because, both as a blogger testing skincare products and as a flaky person in general, it’s always changing. I’m one of those folks that is fairly susceptible to the “New! Shiny! Look!” advertising, and I also really enjoy trying new things out, so I have what seems like an endless rotation of products. So here’s what I’m going to do: I’ll walk you through a baseline routine that I had going for a while, when my skin looked and felt really great. I still use parts of this routine now, although the never-ending parade of jars and bottles on my vanity makes that look like a lie. One thing I want to emphasize before we get started is that all skincare is YMMV – that is, your mileage may vary. Just because this worked for me doesn’t mean it will for you – your skin may hate something mine loves, or vice versa. You don’t need to do everything that I do in my routine, or have all of the same products, to get great skin. I know you know that bit – I just felt like I ought to say it. Okay! Moving on. We’ll start with my evening routine, since it’s the most complicated. Just kidding! I don’t actually oil cleanse. For some reason that is perpetually unknown to me, my face hates oil cleansers. I haven’t found a single one that I can use for more than a day or two without my skin freaking out. Instead, I use a balm cleanser: Banila Co. Clean It Zero. The Clean It Zero comes in a tub, with its own little spatula (man I love included spatulas…. if you have long nails this will totally save you from getting way too much product stuck under them). It’s a hardish balm, and then when you go to spread it on your face it warms and becomes kind of oily (but not as oily as a straight oil cleanser). You rub it around until it’s gotten all of your makeup and sunscreen and what-have-you off, then you stick your face in some water. The balm emulsifies and washes away. I do this step in the shower, since I shower at night. That means I get into the bathroom, squidge this stuff on my face, check in the mirror to make sure I got everything, get in the shower, and wash it off. Although step two is commonly referred to as foam cleansing, you don’t have to use a foam cleanser. There are other options – milky cleansers, for example. If you have really dry or very sensitive skin you may want to use a milk cleanser rather than a foaming cleanser. Since my skin is normal to oily depending on its mood, a foam cleanser works pretty well for me. 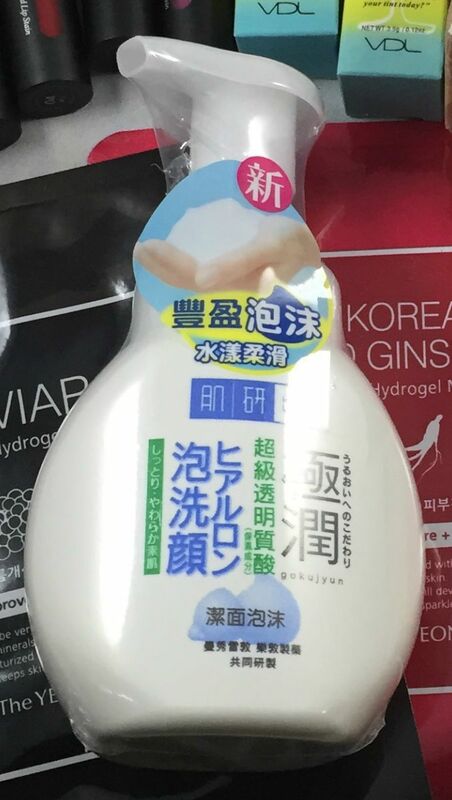 I use Hada Labo’s Gokujyun foaming cleanser, which has a pH of around 5.5. Obviously that’s not the actual pH of the product that ends up on my face, since I mix it with water to wash it off, but it’s not a bad starting point. I combine this with part of Step Three: Exfoliation by using a konjac sponge for some gentle physical exfoliation. This step also happens in the shower, for me, but if you are a morning shower person, keep your elbows up when you’re washing your face at the sink to avoid splashing water everywhere! Okay, back to Step Three. Now we’re doing chemical exfoliation. Although I’m seriously playing around with this step now (for example, trying out Pocketderm), I was most successful using a pH-adjusting toner, then a BHA to unclog my skin, then an AHA to get rid of dead skin cells. That means three products: first, Mizon’s AHA/BHA toner. This has gotten kind of hard to find lately – there was a batch recall on it – but it seems to be slowly making its way back into the market. I slap some of that on real quick, just to get my skin ready, and then I use the COSRx BHA Blackhead Power Liquid. My review of that particular product is here. I let that sit for about 20 minutes to get all of the crud in my pores, then I put on Mizon’s 8% AHA Peeling Serum. Then it’s time for Step Four: Hydrating Toner. To be honest, I have yet to find a toner that makes me yell “This is the best thing ever!” But the closest I’ve come so far is Missha’s First Treatment Essence. There’s been a fairly recent reformulation of this toner, and I’m not sure what that will do, but I I will say that I used the entire bottle of this product, which is not something that I generally do with toners. Next is Step Five: Essence/Serum/Ampoule. 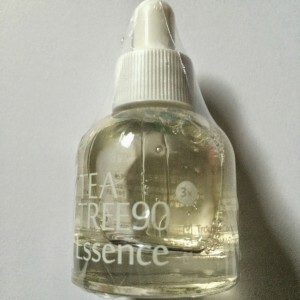 For this step, I used LJH’s Tea Tree Essence 90 as my essence. This is one of the rare products that I have never stopped using since I started it. I’ve gone through several bottles of this stuff. The product has a thin, watery consistency, and it’s been amazingly good to my skin. It quiets my face down when I’ve overexfoliated or when something has irritated my skin. Then I used an ampoule – Missha’s Time Revolution Night Repair Ampoule. This product has a lot of fermented products in it, and lists retinol as an ingredient as well. Although I thought this product was great, it didn’t interact well when I started using Pocketderm, so I had to stop using it. Step Six in my night-time routine is the Cream. Since my skin is fairly oily, instead of using first a light lotion and then a heavy cream, I stuck with one gel-type cream: Mizon’s Snail Recovery Gel Cream. Although I frequently used an eye cream after everything else before I went to bed, there really hasn’t been one that I’ve liked enough that I’m willing to recommend here. I’ll just say that this is where an eye cream goes, and leave you to it. Finally, here’s the morning routine. Step Two: Hydrating Toner. I used the Missha First Treatment Essence again here. Step Three: Essence/Serum/Ampoule. For the essence, I stuck with the LeeJiHam. In the winter, when my skin was dryer, instead of using the Missha Night Ampoule, I substituted in KangSkin’s Aqua Essence to pump in some more moisture. In the summer, I didn’t really use anything. Step Four: Cream. Again, I used the Mizon Snail Recovery Gel Cream. Step Five: Sunscreen. During the summer, I used Biore’s UV Aqua Rich Watery Essence. In the winter, I shopped around looking for something more moisturizing, and settled on Hada Labo’s UV Creamy Gel. Step Six: Makeup (or not). I almost always wear makeup, but that’s the subject of a different post! There you have it – a baseline routine!